Founded in 1798 by Padre Fermin Francisco de Lasuen, successor to Padre Junipero Serra, the Mission was named after St. Louis IX, King of France, who lived during the 13th century. The history of the San Luis Rey area reflects five periods of occupation: Luiseno Indian, Spanish Mission, Mexican Secularization, American Military, and Twentieth Century Restoration. Construction of the present Mission church began in 1811 and was completed in 1815. The design is cruciform with the dimensions measuring 30′ high, 165′ long and 27′ wide. The solitary bell tower, which is the cornerstone to the entire mission quadrangle, is 75′ high. Adobe, lime plaster, wooden timbers, fired clay bricks, and roof tiles comprise the primary building materials. The architecture is Spanish Colonial combining Baroque and Classical styles with Moorish influences. PRESENT – The church, a National Historic Landmark, is open daily to visitors via the museum, which oversees its restoration and the care of its collections. Although painted over through the years, the decorative designs, taken from textiles and patterns in books, are original. The church at San Luis Rey is recognized as the most unique and one of the most beautiful in the mission chain. It is the largest of the 21 California missions and the only one adorned with a wooden dome and cupola. Unique also to San Luis Rey are the side altars and the Madonna Chapel which originally served as a mortuary chapel. WELCOME TO OLD MISSION SAN LUIS REY MUSEUM from Love Machine Films on Vimeo. 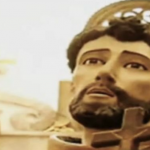 OLD MISSION SAN LUIS REY PRESENTS SAINT FRANCIS OF ASSISI from Love Machine Films on Vimeo. THE BROTHERS OF OLD MISSION SAN LUIS REY from Love Machine Films on Vimeo. VISIT OLD MISSION SAN LUIS REY from Love Machine Films on Vimeo. OLD MISSION SAN LUIS REY CEMETERY from Love Machine Films on Vimeo. THE BROTHERS OF THE MISSION SAN LUIS REY from Love Machine Films on Vimeo. OLD MISSION SAN LUIS REY: GENERATIONS from Love Machine Films on Vimeo. 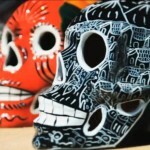 OLD MISSION SAN LUIS REY : DAY OF THE DEAD from Love Machine Films on Vimeo. OLD MISSION SAN LUIS REY – SAVE THE MISSION from Love Machine Films on Vimeo. 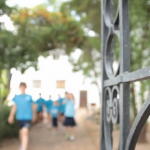 OLD MISSION SAN LUIS REY RETREAT CENTER : GROUPS from Love Machine Films on Vimeo. OLD MISSION SAN LUIS REY RETREAT CENTER : PERSONAL EXPERIENCE from Love Machine Films on Vimeo. OLD MISSION SAN LUIS REY : THE PROCESSION from Love Machine Films on Vimeo. OLD MISSION SAN LUIS REY : PEYRI COURT from Love Machine Films on Vimeo. OLD MISSION SAN LUIS REY : HERITAGE BALL from Love Machine Films on Vimeo. 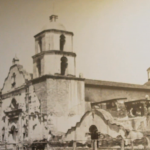 OLD MISSION SAN LUIS REY: TV SPOT from Love Machine Films on Vimeo. OLD MISSION SAN LUIS REY; 200 years – 30 PSA from Love Machine Films on Vimeo. OLD MISSION SAN LUIS REY: ACORN -15SEC PSA from Love Machine Films on Vimeo.